It is a blessing to see an industry with your passion grow leaps and bounds. I was probably lucky to get into analytics and data science back in 2006, when these terms were not in fashion! But, things are different today and it is heartening to see so many aspiring data scientists and aspiring analysts around. With an aim to propel India’s growth in data science further, one of the India’s leading technology-enabled learning solutions provider, Manipal Global Education Service has forayed into the education of data science and analytics. I got a chance to interact with Dr. S Ramesh Babu, Director & Head, Manipal Global Academy of Data Science. 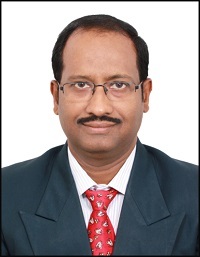 Dr. Babu has two decades of experience in capacity and capabilities building in the Technology space. He worked at Infosys for 19 years, and prior to that in Tata Research Design and Development Center at Tata Consulting Services. His last role has been Associate Vice President at Infosys. Here are few excerpts from my interaction with him. KJ: Tell us how and what made you think about starting a program in data science? What is the objective of this program? Dr. Babu: Hailed as the “hottest job of the twenty-first century”, data science and analytics is one of the fastest growing fields in the industry. Career opportunities are set to explode in data science, with India alone raking up a requirement of over 200,000 data analysts. As India’s leading technology-enabled learning solutions provider, Manipal Global Education Service has forayed into the education of data science and analytics through its newest initiative, the Academy of Data Science. The academy offers customized programs across various levels and is designed specifically for industries and domains where such talent is in demand. 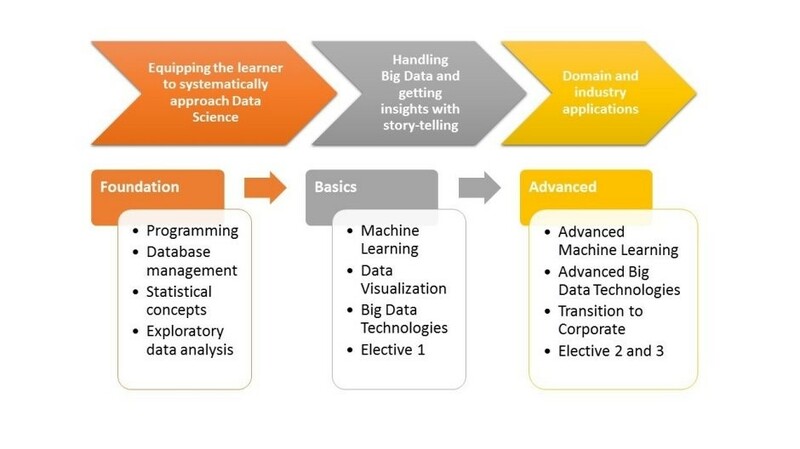 The Objective of the program is to build capacity and capabilities through full suite learning interventions, in the Data Science area for both individuals and corporates, who are looking at career shift into the Data Science field or those who are looking at career advancement in the Data Science field. This is done through a combination of best-in-class academic, IT and data science professionals, state-of-the-art infrastructure, etc that adheres to our core philosophy: Talent. Technology. Transformation. KJ: What is the course structure / content like? Dr. Babu: I’ll let this figure do the talk! KJ: What tools and techniques are covered as part of the course? Dr. Babu: R, Databases (Sql an NO-sql) , Excel, Hadoop Ecosystem, Apache Spark and Storm, Data Visualization Tools, along with some of the proprietary products. KJ: Who is the target audience for the program? Dr. Babu: The program is targeted at those, who are looking at a career shift from other streams into Data Science career stream, and also those who are looking at deep diving into the Data Science career stream. Fresh Graduates who completed their B.E. or B.Tech. or Post graduation (M.E/M.Tech/MBA/MCA etc) and looking to build a career in data science can opt for the full time PG Diploma in Data Science. Working professionals who are looking to upgrade their skills or make a career shift in the Data science field can opt for the part time PG Diploma in Data Science. Corporate who are looking at learning interventions for their teams can opt for the modular and customized offerings. KJ: Since the program is also designed for fresher’s how do you make them industry ready? Dr. Babu: The industry partners bring the relevance through multiple touch points. The faculty dealing with these courses have been in the field and in the industry. They will bring the expertise and experience into the fold. In addition, Fresher’s will get Hands-on Experience on tools, they also get to work on real time case studies. Furthermore, there are behavioral training modules to help them transition to corporate. Then, there is an internship provided to students in 4th term with our corporate partners. All these will help them to be productive from the day one. KJ: Tell us about the faculty associated with the program and their experience? Dr. Babu: The faculty conducting the courses have significant years of experience working in the Industry and in the relevant areas. For other faculty associated with the program click here. KJ: What are some of the unique aspects of the course, which makes this course stand out for a student? Dr S Ramesh Babu: The program has a layered approach to build competencies in Data Science – foundations, core and advanced. It has high level of Industry relevance through partnerships with large enterprises with prevalent data science practices. And finally a PG Diploma that is awarded by Manipal University. KJ: How about industry involvement? Dr. Babu: We are constantly seeking partnerships with Industry – presently Experian is our Knowledge Partner and Genpact is our Corporate Partner. We are in discussions with multiple other large enterprises across Technology, BFSI etc who will bring the relevance, industry exposure through learning interventions, share cases, and drive domain focus. KJ: What is the placement assistance provided? Dr. Babu: Yes, there is placement assistance provided. In addition to the current industry partners, we are working with multiple Banks, IT companies, and analytics companies for the placement towards the last term. KJ: What is the fee for the program? INR 6,00,000 + 15% taxes, covering program fee for all 11 months and hostel facilities for 9 months (last 2 months are stipend–based project term). INR 3,00,000 + 15% taxes. Educational loans are facilitated too with our tie ups with Axis Bank, Avanse Financial Services etc. KJ: When does the batch begin and how can our community members enroll into the course? Dr. Babu: The batch begins in the 1st Week of October. The last date to apply for the program is 15th Sep. For more information log on to the course website. KJ: Thank you Dr. Babu for your time. I enjoyed talking to you and wish you success for this program. Thanks for providing these details about the course for our community members. The fee is too high… What’s the RoI of this course?